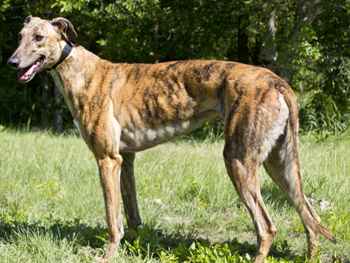 Barbie, aka Gable Bombardier, is a 2½-year-old red brindle female born August 18, 2008. Her sire is Gable Oscar, and her dam is Jet Set. 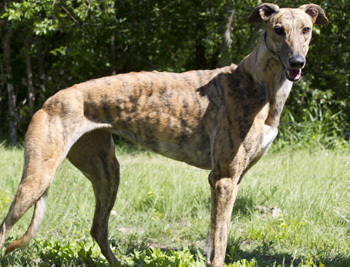 Barbie has 60 races to her credit on Greyhound-data.com, starting in Texas on September 27, 2009, and ending in Florida on January 29, 2011. This gorgeous girl could steal your heart away! It is not known at this time if Barbie is small animal or cat tolerant.